We’ve all heard the story about Benjamin Franklin flying a kite with a key attached to it in a storm. Lightning struck the kite sending a charge down the kite string. Today, this seems like a crazy thing to do because we all know the hazards and risks that come w ... (see full details) (see specifications) #DNN13868. We’ve all heard the story about Benjamin Franklin flying a kite with a key attached to it in a storm. Lightning struck the kite sending a charge down the kite string. Today, this seems like a crazy thing to do because we all know the hazards and risks that come with electricity. That’s why we wear electrical hazard boots like these Danner Men’s Brown 13868 Vicious Safety Toe EH Waterproof Boots. The soles and heels of this footwear are electrical hazard or EH rated. EH shoes have heels and soles that are non-conductive and electrical shock-resistant. The non-metallic safety toe offers protection against falling objects or accidental compaction without conducting heat or cold to the foot. Keeping you on your feet is the Vibram Vicious outsole that is oil- and slip-resistant. The low-profile 90 degree heel is helpful when going up and down ladders. These safety toe boots meet or exceed ASTM standard F2413-11 I/75, C/75. The 8” brown uppers of these men's boots are manufactured from high-quality full-grain leather. Full-grain leather is water-, and abrasion-resistant. The 100% waterproof GORE-TEX liner is engineered to keep your feet dry while remaining breathable. 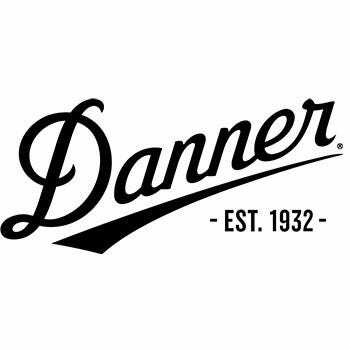 Danner has added an abrasion-resistant heel cap for durability and a speed lace system to ensure a secure, tight fit. The lightweight and flexible Trailguard platform is the same one used in hiking boots, so you know it’s comfortable. This seamless support allows for a roomier fit in the toe box and a snug fit in the heel when you wear these waterproof shoes. The dual-density EVA midsole offers shock absorption and comfort. EVA is a lightweight, soft, and flexible material that is ideal for a midsole. For arch support, you’ll find a Nylon shank. You don’t have to conduct an experiment to find out if these Danner Men’s Brown 13868 Vicious Safety Toe EH Waterproof Boots are great. Our findings have already concluded that this work footwear is just what you’re looking for. Most comfortable boot I've had. I work outside doing hard, manual labor my first pair are going strong one year later. I just bought a second pair to wear for good because they are so comfortable and they were on sale. These boots were purchased on-sale in preparation for the spring season. I work outside in aviation freight handling, and these boots meet all the criteria I needed for a safety boot. The first two weeks of wear were harsh on my feet as the heel and upper area were especially stiff out of the box. This is not unusual for a new boot, obviously, but was worse than some other boots I have had in the past. However, after 90 work hours of wear, they began to loosen up and are now one of the most comfortable pairs of footwear that I own. The grip is good on wet, oily surfaces but allow for enough balance to easily climb ladders and equipment. Waterproofing is holding up perfect after weeks of wet weather. Good boot, worth the purchase. I find them very comfortable, putting them on is just as easy as putting on your hiking boots which are also very comfortable and the reason I tried them in the first place. I used to wear nothing but red wings but when they started hurting my feet I looked for a new boot for work and all around boots well in my book I've found the boot I was looking for!! I do wish the toe had extra leather or a guard needing wears out to quickly. I bought this boot last year and it has been very comfortable and has lasted longer than any of my previous boots of other brands. After standing on my feet all day, my feet do not feel tired, sore or in pain. I also have a different style of Danner boots I use for hunting with same results. I've always loved Danner boots. They are the best. Meet our expectations. Highly recommended this boot for anyone needing a good pair of boots. This is my husband's second pair and thinking of getting him another one for coming Christmas. Keep up the good work Danner. Danner Boots: Men's 13868 Safety Toe EH Waterproof Work Boots is being added to your cart.